Buoys and gulls, dinghies and dories… the imagery of the ocean and its shores has served as subject and muse to folk artists in Atlantic Canada for generations. This selection of whimsical and sometimes humorous works from the Permanent Collection reflects this region’s cultural heritage and ties to the sea. 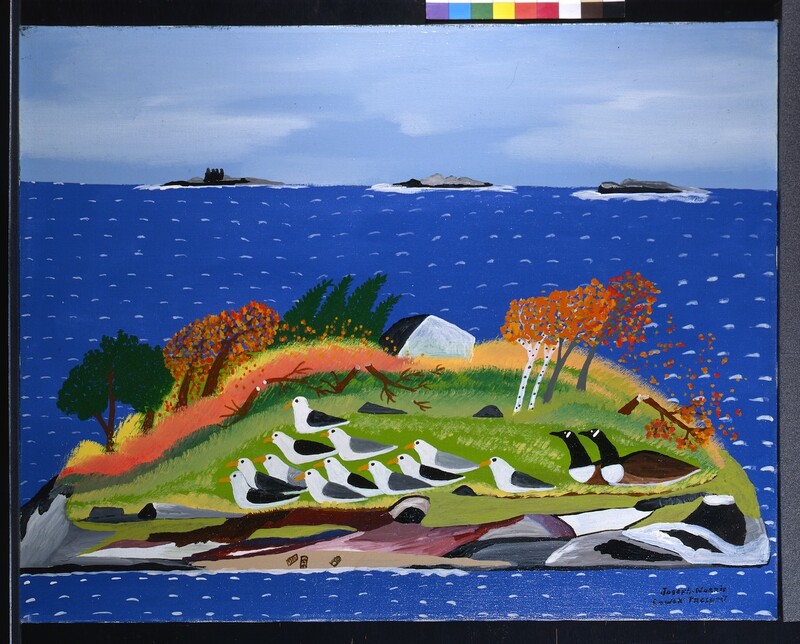 Artists: Samuel Bolivar, Ralph Boutilier, Peter Frotten, Cyril Hirtle, Sidney Howard, Maud Lewis, Albert Lohnes, Jim MacAlpine, Clarence Bubby Mooers, Joe Norris, Lorne Reid, Francis Silver, David Slauenwhite, Joseph Sleep, Randall Smith, and Charlie Tanner, among others.